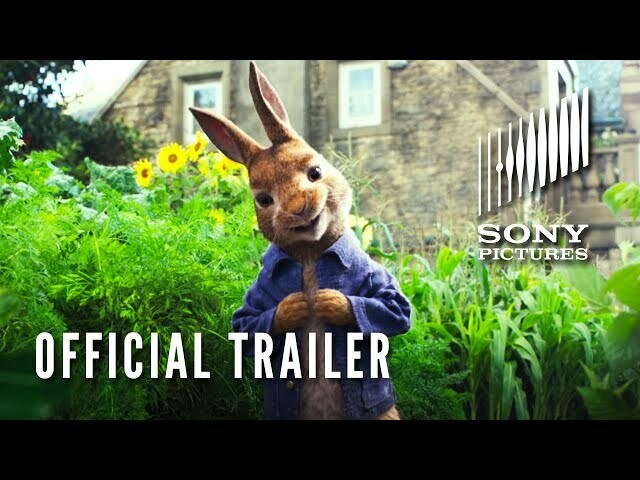 Peter Rabbit (film, 2018). A 2018 American live-action/computer-animated comedy film with "PG" rating by Sony Pictures Releasing/Columbia Pictures. Directed by Will Gluck. Official Trailer. 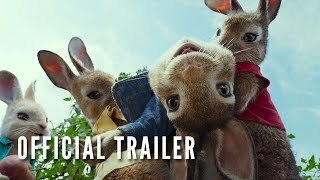 Peter Rabbit is a 2018 American live-action/computer-animated comedy film directed by Will Gluck. 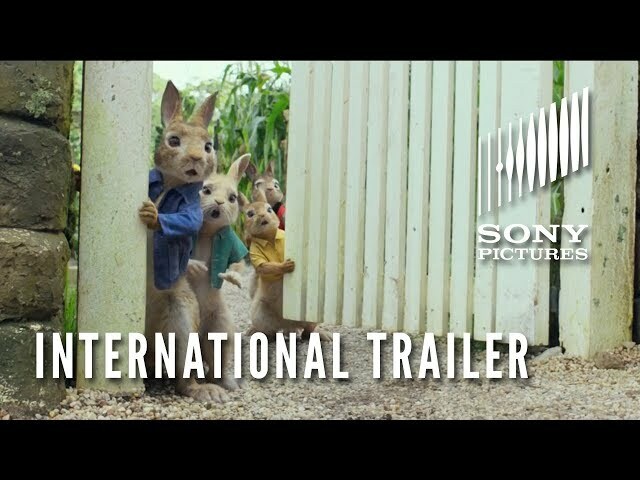 PETER RABBIT - Official Trailer #2. 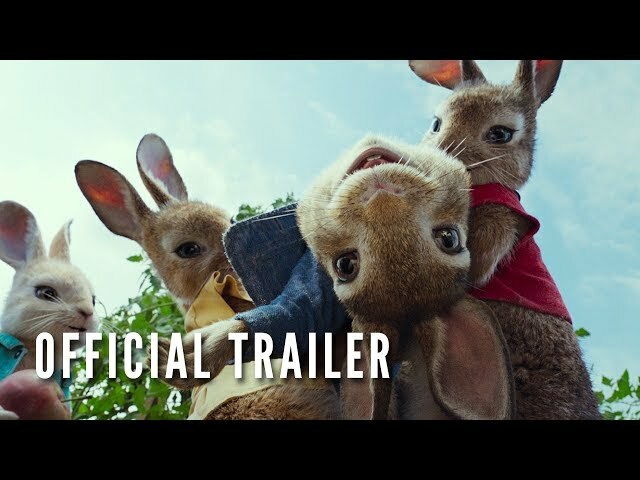 In England's Lake District, Peter Rabbit, his cousin Benjamin Bunny, and Peter's triplet sisters Flopsy, Mopsy, and Cottontail, spend most of their days picking on Mr. Joe McGregor and stealing vegetables from his garden. They are friends with a local woman named Bea who spends her time painting pictures of the rabbits as well as the surrounding nature. Bea takes on a mother-like relationship with the rabbits due to the death of their parents, who were killed by McGregor. One day, Peter is forced to leave his jacket in McGregor's garden and goes back to retrieve it. McGregor spots and catches him, but suddenly dies of a heart attack due to decades of unhealthy eating habits. Enthralled, Peter invites all of the local animals and takes over McGregor's manor. Meanwhile in London, McGregor's great-nephew Thomas McGregor, an uptight, controlling workaholic, works at the toy department of Harrods department store where he waits for a promotion to associate general manager. He indifferently accepts the news about his great-uncle's death, someone he was completely unaware of, but is infuriated over losing the promotion to a lazy nephew of the managing director and is fired for losing his temper. His now-former manager encourages him to get a hobby and spend some time in the country. When Thomas learns that his great-uncle's manor is valuable and that he's inherited it, he decides to appraise and prepare it for resale in order to start his own toy store to get even with his former employers. He kicks out Peter and his friends and begins to upgrade the security of the garden wall and gates, despite Bea's objections. When Peter and Benjamin sneak back into the garden, Thomas catches the latter and attempts to drown Benjamin in a river. His cousins rescue him; Thomas instead accidentally drops a prized set of binoculars that Bea had given him earlier, forcing him to retrieve it. The film Peter Rabbit was scheduled to be released by Sony Pictures Releasing and Columbia Pictures on February 3, 2018 (The Grove), on February 9, 2018 (United States), on February 23, 2018 (Turkey), on March 22, 2018 (Australia, Germany, Russia, Denmark) and on April 4, 2018 (France). The duration of the film is 95 minutes. With a budget of $50 million, the film grossed over $351.2 million. Peter Rabbit got high rating from critics. The audience also likes the film. Audiences polled by CinemaScore gave the film an average grade of "A-" on a scale ranging from A+ to F.